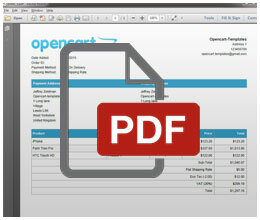 Convert your plain Opencart emails into a customizable Professional HTML Email Template with a touch of class & elegance. If you are looking to really impress your customers with more than a basic text email, then this is a must have extension. Many happy customers with excellent feedback and reviews, its safe to say you are looking at the best Email Template around. 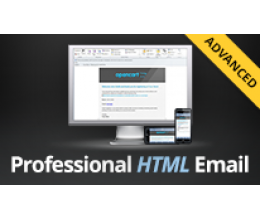 This extension will send ALL of the Opencart emails (plus many new emails and functions we have added) using the professional HTML mail template, even the admin emails. Our responsive HTML Email template is fully mobile optimized and has been built/tested thoroughly (see results). We know how important it is that your email displays correctly in your customers inbox no matter what; browser/device/application they are using to read emails. Tested on all of the popular email clients to name a few; Outlook, Gmail, Yahoo Mail, Hotmail/Live, Apple Mail, iPhone, iPad & lots more. We also ensure that if the email client does has image turned off it will downgrade using background colors. Each email that gets sent has its own template which you can be easily customized with basic HTML skills or add advanced logic with no limitations of being stored in a database. The preview area means that you can quickly test any changes you make with/without images. It works by using ONE email wrapper which includes all the other emails, allowing for consistent looking emails & changes only need to be made once. Totally different to the standard Opencart where you would be required to make the same change to many different files. Easy QUICK install in 5mins (no files overwritten) with default settings out of the box. Our support ticket system is second to none, helping you resolve any issue quickly. 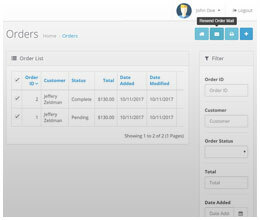 Customer Register :: both customer & admin email with full details. Contact Us :: admin email, with option to send a copy to Customer. Product Review :: added alert to admin. Returns :: detailed list of products to admin. Easily customize the email template to match your store/company branding. Easily customize template all emails in 1 place. Footer/Signature text can be used to: upload social media logos, links to your products/pages. By default our extension is built in a way to not cause conflict with other extensions which add new emails. 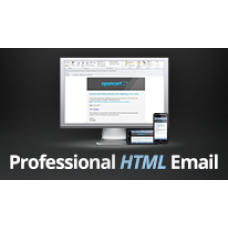 If your extension is not listed above and you would like it to send Professioanl HTML email we can build an integration vqmod script. Usually we can build this for free, otherwise charge a small fee around £10-30 depending how much work is required. Exceeded our expectation in so many ways! Perfect module and support is brill. 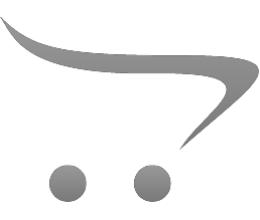 It is an essential module that is missing in the opencart in all versions. Any professional online shop must have this module. Este un modul essential care lipseste in opencart in toate versiunile. Orice magazin online profesionist trebuie sa aiba acest modul. Excellent work in this extension, we are really pleased with the email display! Responsive HTML Email template - not only will your emails look professional on all desktop computer..
Multi language with RTL Attach PDF invoice to order email Customer download invoice from their a.. This extension requires your customers to validate their email address. 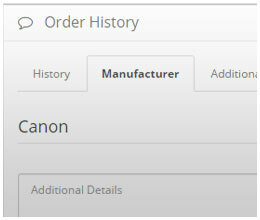 After registering it sends a..
Upload a file to the order update email and attach it to the email. Also allowa customers to downloa.. This extension will automatically send an email to each manufacturer each time you receive a co.. Adds missing 'Mail' tab to extra multi-stores. .. Automatically sets the invoice number as soon as an order as it's placed with a complete, .. 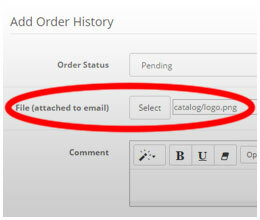 This modification will add a new button to the Orders page, where you can resend the order emails to.. This extension is a wrapper for sending your Opencart emails with Mandrill API. Easy to inst..